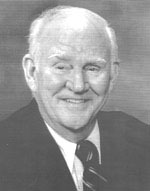 William Greer, better known as Dabbs Greer, was born on April 2, 1917 in Fairview, Missouri, USA. Greer has acted on television for four decades. He performed in hundreds of roles, in Tv and in the Big Screen. He also served for many years as a director and instructor at the Pasadena Playhouse. 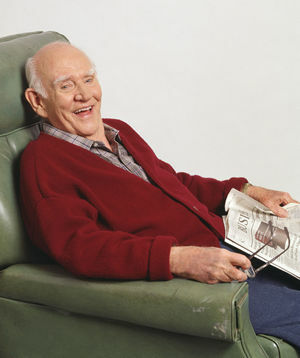 Dabbs Greer is Grampa Fred. Fred is Jerry's dad. He likes to go fishing and sometimes he is a little grumpy.